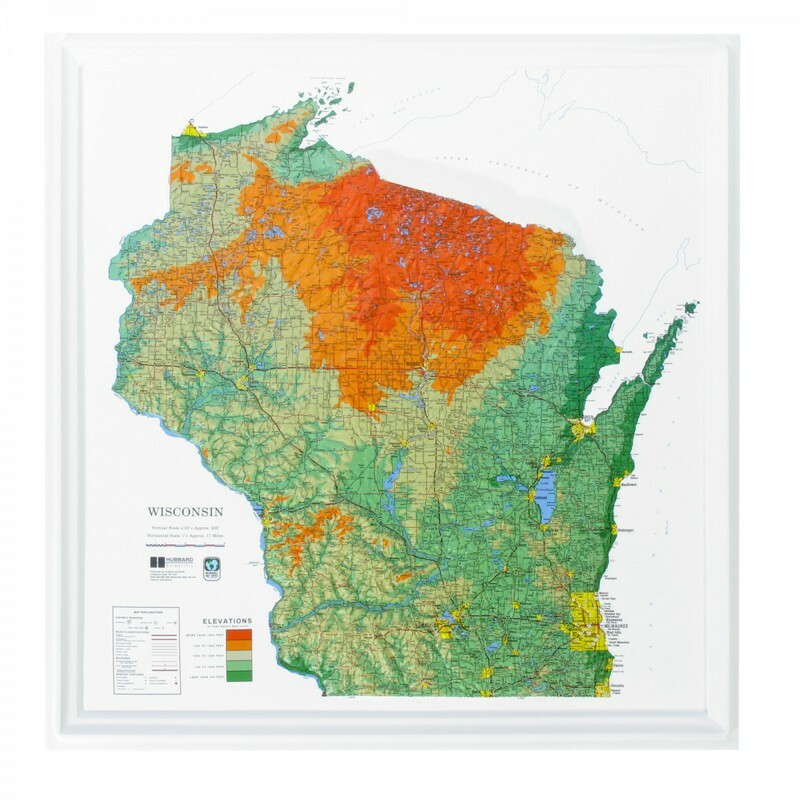 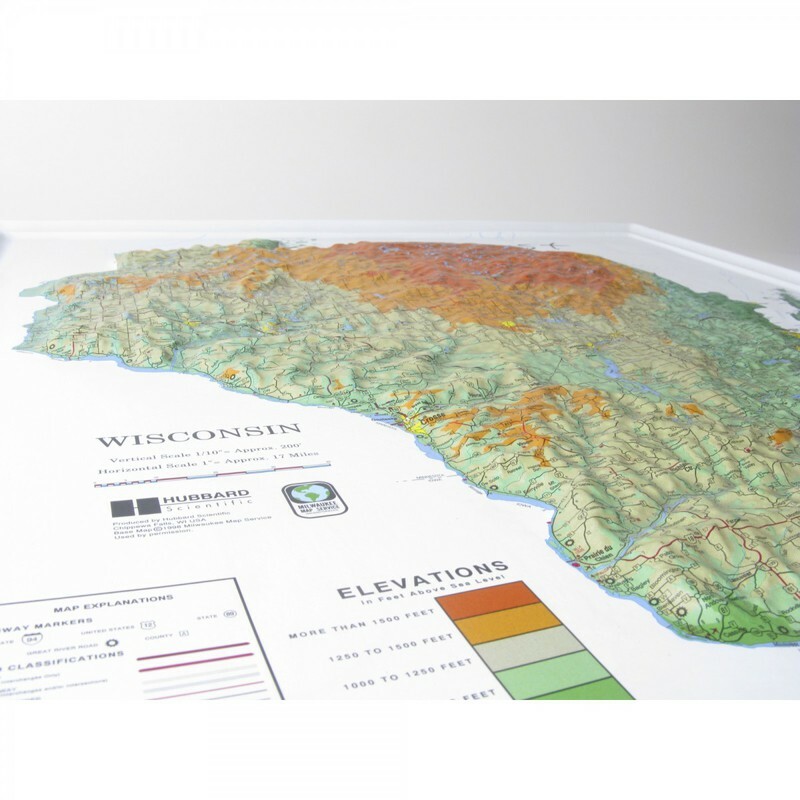 The K-WI2021 is a raised relief map of the state of Wisconsin. 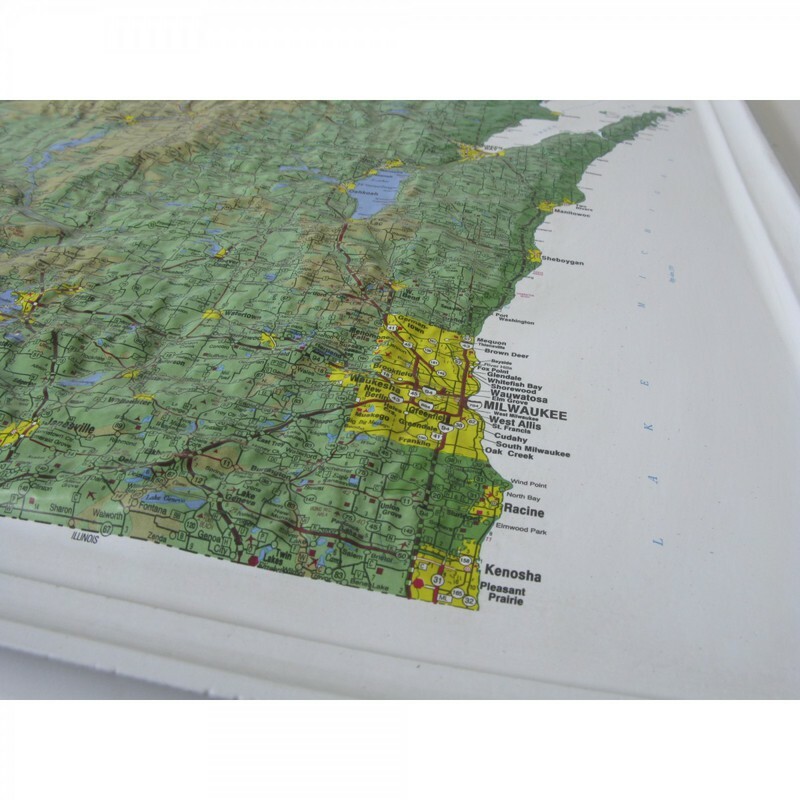 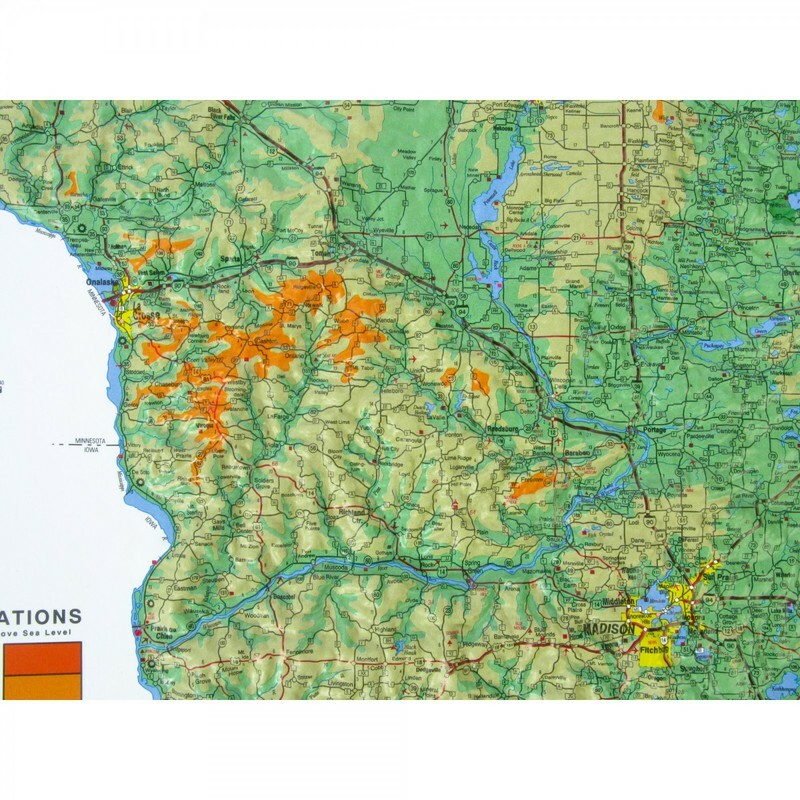 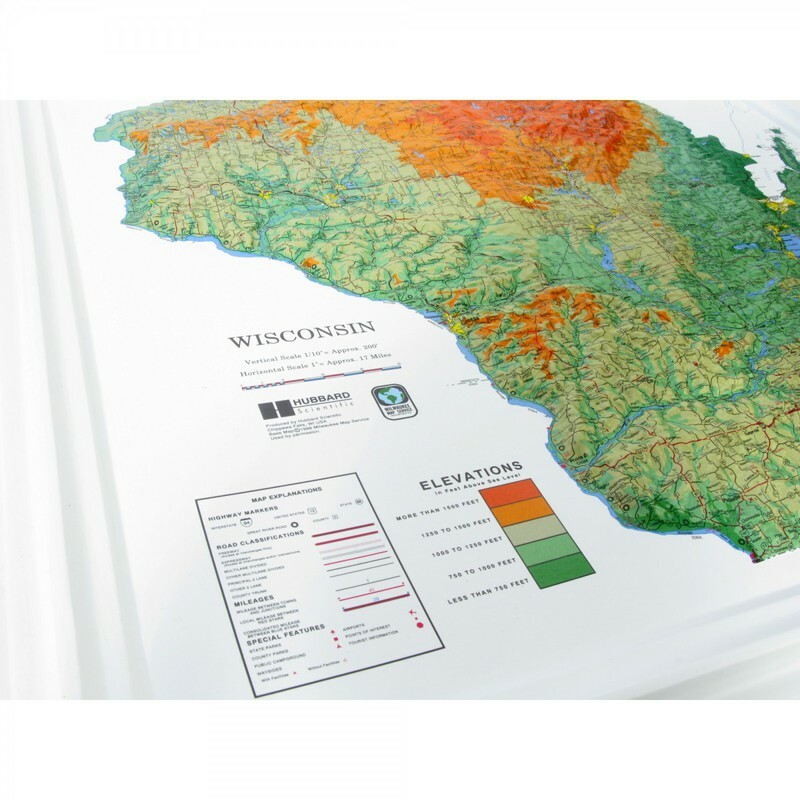 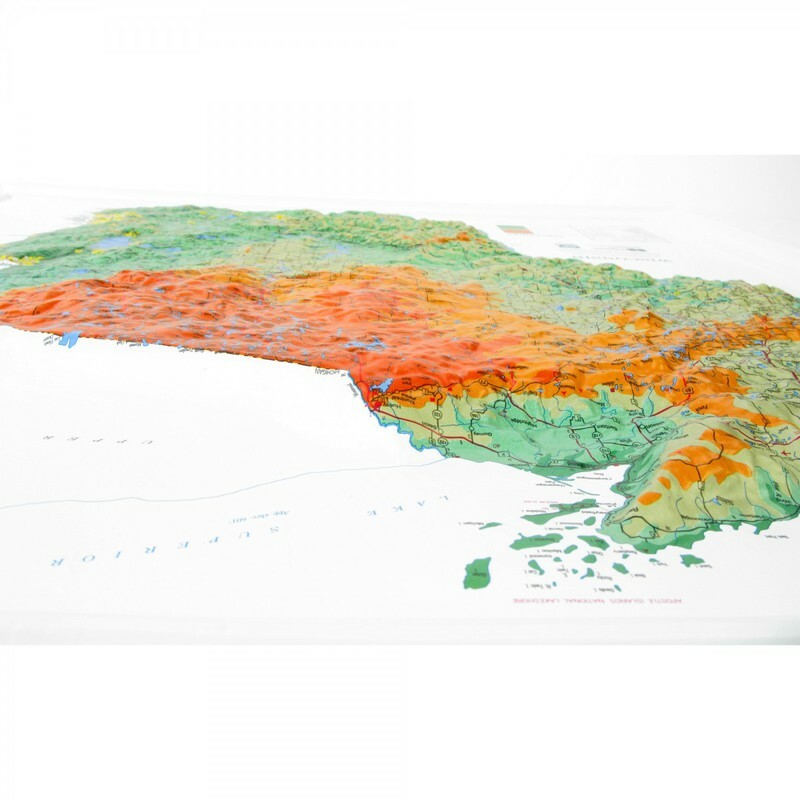 Raven maps provide dramatic detail and use soft colors to represent elevation. 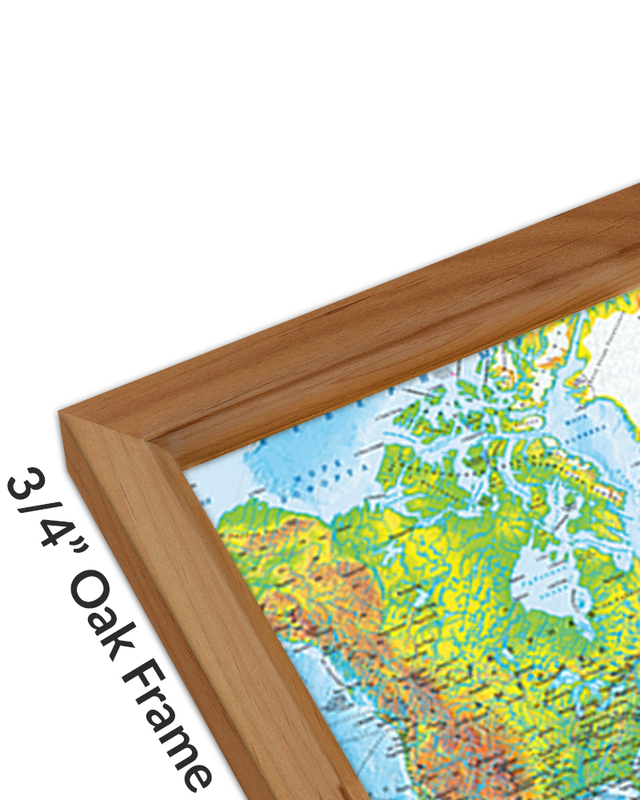 Roughly 22.125" x 21.125"